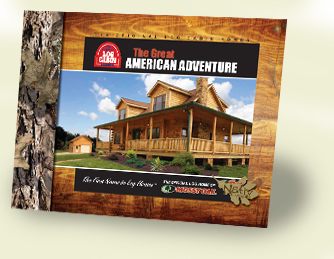 At Original Log Cabin Homes we started with a single goal: To manufacture the best log homes in the world! Our commitment to quality, craftsmanship, innovative design, and customer satisfaction has made our company a leader in the industry. Our passion for our work, our belief in our products, and our total dedication to helping every customer realize their dreams make us the preferred provider of log homes for people around the globe. Now, you too can discover the peace, tranquility, and pride that come with owning an Original Log Cabin Home. It’s time to get started with your own chapter in the American Adventure. Bring us your pioneering spirit and vivid imagination. With a little help from nature, we’ll bring it all to life. You can have the log home of your dreams. Let us show you how.